We are so ready for spring at my house. With deer frolicking in the front yard and wildflowers blooming everywhere, it seems like it's finally here to stay. 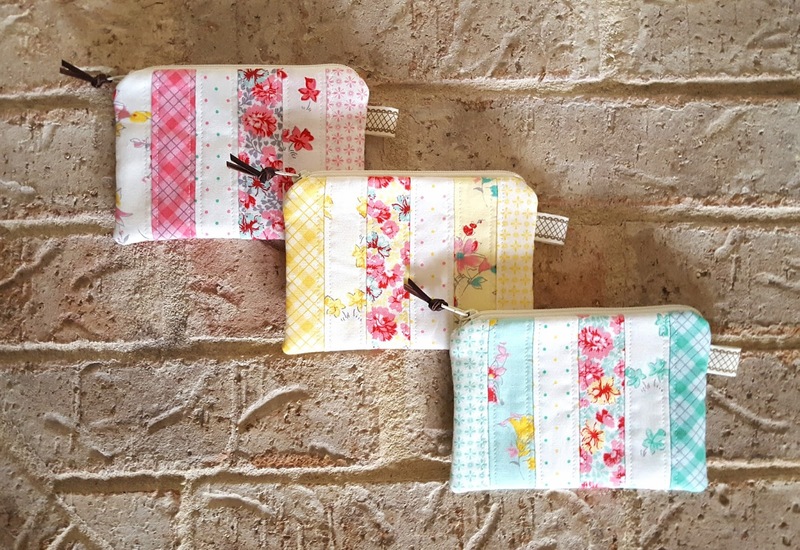 I love it when my sewing is a perfect match for the season, and these pouches made with the Lily collection by Sue Penn for Penny Rose Fabrics feel exactly right for this time of year. Over spring break, I had the chance to fly back to California to visit my sister and her family. It was a lovely trip, full of sweet visits with family and friends. 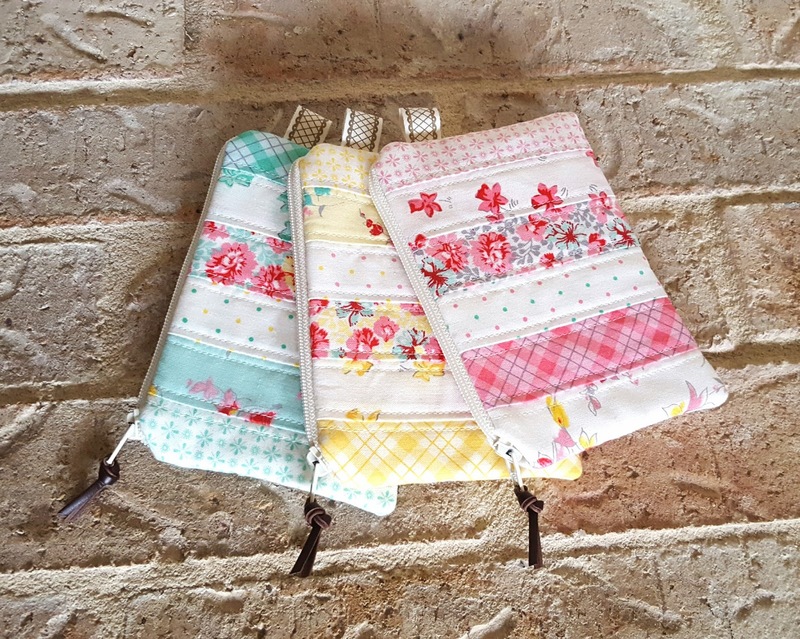 I brought these pouches along as gifts for a few special people. Whenever I need a quick gift, I almost always go with a pouch. They're simple, fast, and useful for just about everyone. These came together in just two afternoons of sewing. 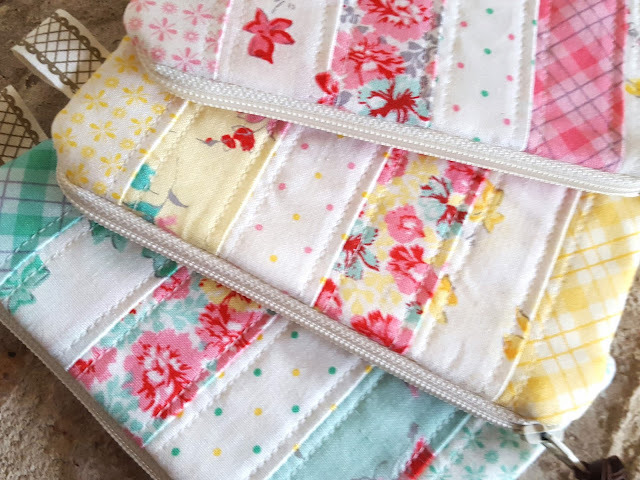 I sewed small strips together and quilted on either side of each seam. I usually like to mix up my prints, but this time I decided to stick with a separate colorway for each pouch. Going with a more cohesive color scheme for each piece was a nice change, and I will definitely do it again in the future. At about 4 x 6", these are just the right size to tuck into a bag. 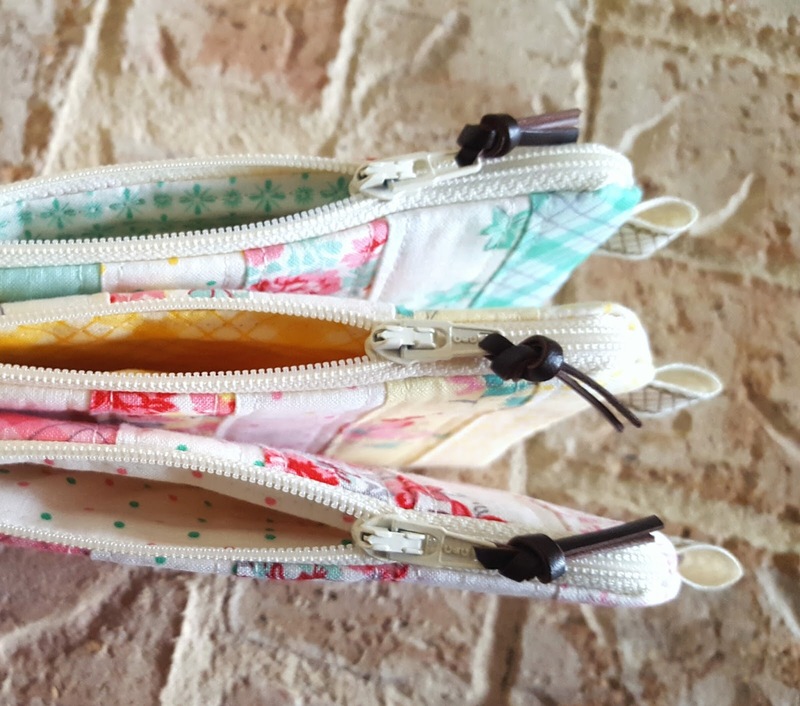 As always, I added leather ties as zipper pulls and twill tape loops to the sides of each pouch. Happy sewing, friends -- and happy spring! 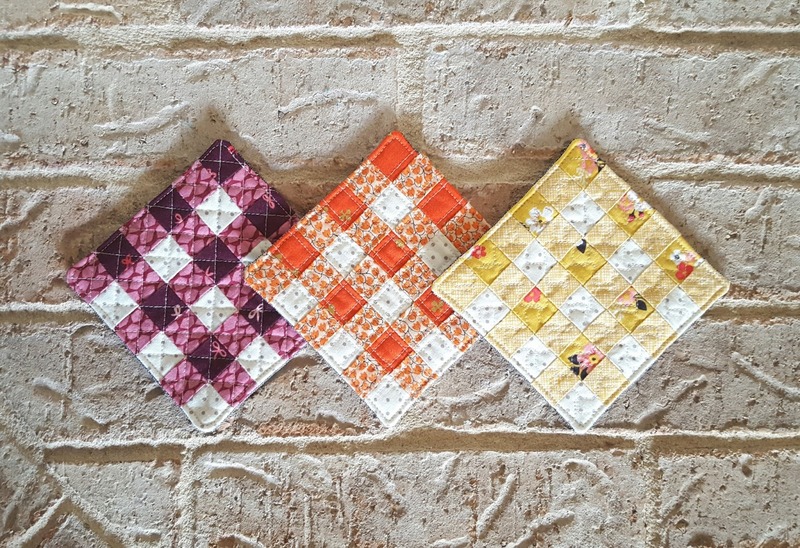 I'm guest posting at the Fat Quarter Shop blog today for a new series called Pattern Makeover where I'm sharing these pieced gingham coasters that I made by adapting a pattern from Farm Girl Vintage by Lori Holt. Head over there to take a peek!